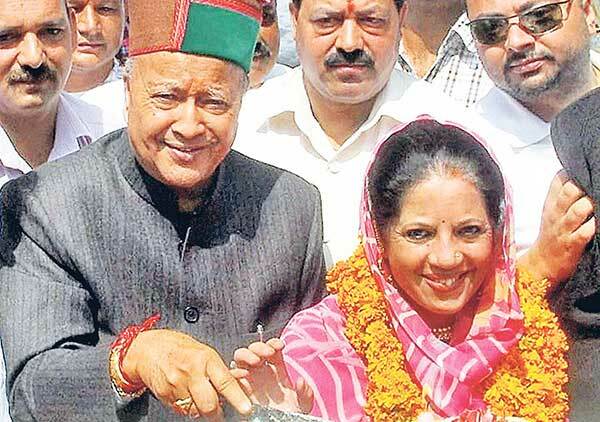 Himachal Pradesh chief minister Virbhadra Singh was on Monday summoned as accused by special court which took cognisance of the CBI charge sheet against him for allegedly amassing disproportionate assets worth around Rs 10 crore. Singh’s wife Pratibha Singh was also summoned as accused. They have been asked to appear on May 22 before the court of special judge Virender Kumar Goyal. Besides the 82-year-old Congress leader and his wife, those asked to appear as accused are Chunni Lal Chauhan, Joginder Singh Ghalta, Prem Raj, Vakamulla Chandrasekhar, Lawan Kumar Roach and Ram Prakash Bhatia. The charge sheet, running into over 500 pages, claims that Singh had amassed assets worth around Rs 10 crore which were disproportionate by 192 per cent to his total income during his tenure as a Union minister. The final report, filed against Singh and eight others for alleged offences punishable under sections 109 (abetment) and 465 (punishment for forgery) of IPC and Prevention of Corruption Act, arrayed around 225 witnesses and 442 documents. The report also named as accused LIC agent Anand Chauhan, who is currently in judicial custody. Chauhan was arrested by Enforcement Directorate on July 9 last year in a separate money laundering case related to the present case. On November 5 last year, the apex court had transferred Singh’s plea from the Himachal Pradesh high court to the Delhi high court, saying it was not expressing any opinion on the merits of the case, but “simply” transferring the petition “in interest of justice and to save the institution (judiciary) from any embarrassment”.